Produktinformationen "HOP UP Magazine Vol. 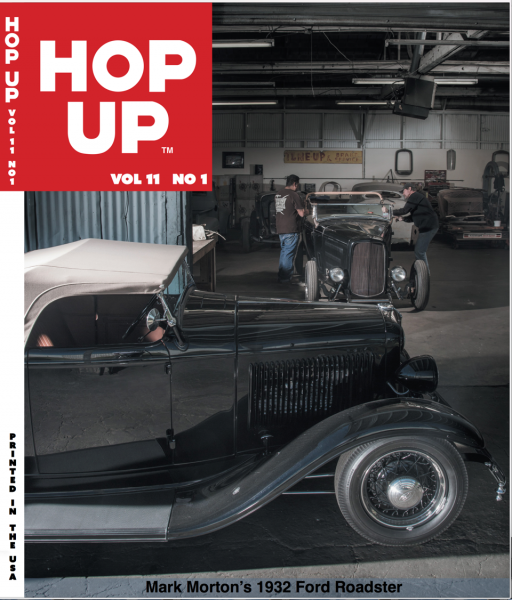 11 Number 1"
Hop Up Magazine is back! The venerable hot rod publication first started in 1951 and most recently published by Mark Morton through the early 2000's returns after a lengthy hiatus. The new Hop Up, starting with Volume 11 Issue 1, will be a larger format with more pages, 172 to be exact, featuring quality printing done in the USA. Content will stay close to it's early roots with plenty of traditional hot rods and customs, but presented in a more modern, some would say artsy, way. The emphasis will be on great photography, but historical articles will also get their due. Weiterführende Links zu "HOP UP Magazine Vol. 11 Number 1"
Kundenbewertungen für "HOP UP Magazine Vol. 11 Number 1"